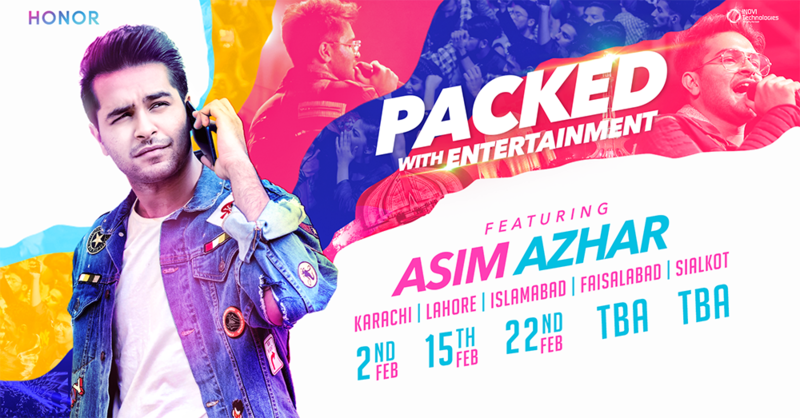 Powered by Honor Pakistan, these concerts kick off from Lahore on February 15 at The Packages Mall. Honor Pakistan is journeying through Pakistan with its Youth Ambassador Asim Azhar and Brand Ambassador Mehwish Hayat to bring concerts for eager fans. The brand is all set to kick off #PackedWithEntertainment concerts from Lahore, where both celebs will be performing some of the most celebrated tunes of all times. Mehwish Hayat will also be debuting as a singer for the concert taking place in Lahore. According to the brand, the concerts will be free-of-charge for all of Honor fans. The concert will also hit Faisalabad and Sialkot somewhere around March 2019; dates and venue details will be disclosed at a later stage. Earlier last month, Asim Azhar was seen performing live at the press and media meetup for the Honor 8c in Karachi. The event was a star-studded affair with many of the country’s top celebrities supporting the launch campaign. Honor's journey with Asim Azhar started back in Lahore on October 27, 2018 when the brand celebrated their milestone of 10,000 Honor 8X users in a short span of time and celebrated the victory with customers in a free-of-entry-fee concert by Asim Azhar. 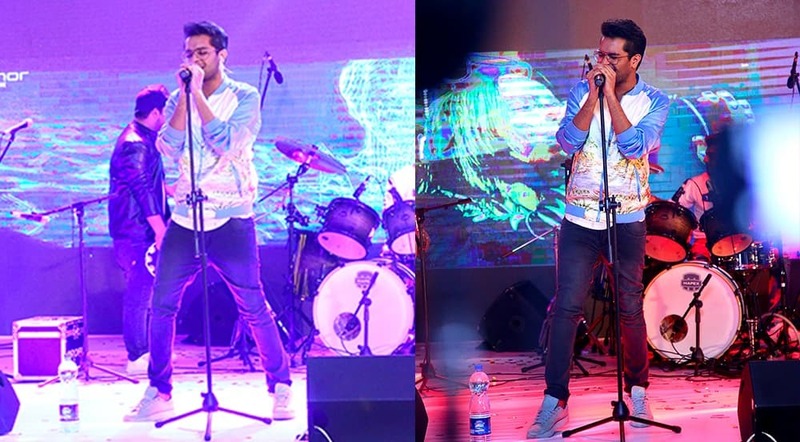 After the launch event, the brand made a stop at DAWN Lifestyle Expo to Karachi on February 2 with Asim Azhar's performance which was received well by the audience. This content is a paid advertisement by Honor Pakistan and is not associated with or necessarily reflective of the views of IMAGES and DAWN.com.